Founded by Don Brown in 1978, C. D. Brown Const., Inc offers experience as a total job utility contractor. Don started the business with only two employees and a backhoe. After more than thirty years of doing business; the company has grown to over 75 highly-qualified, dedicated employees and managers who operate our ever growing versatile equipment fleet. 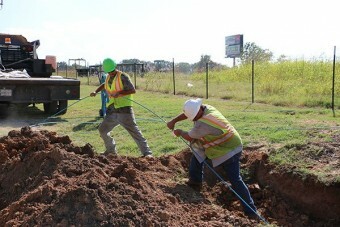 Primarily serving telephone, cable TV, water, sewer, electric, gas utilities, and oil producers, we work on projects all across Oklahoma and surrounding states. We believe the key to our success is relatively simple: It involves a commitment to quality work and customer satisfaction. CD Brown Const. 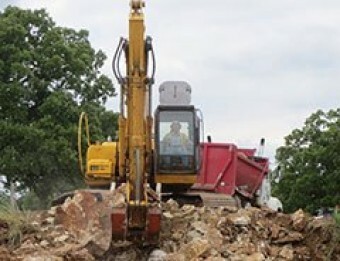 was one of the first companies in Oklahoma to utilize directional boring to install utility lines, pipe and fiber optic cable and avoid the restoration challenges associated with open-cut excavation. . Safety is “Priority One” on every job-site; employees wear and use standard safety gear and take part in safety training on a regular basis. We firmly believe safety is a way of life, both on and off the job. We are also members of ISNetworld that complies with current requirements for pipeline record keeping standards. One of our greatest strengths is the depth of our specialized equipment fleet. 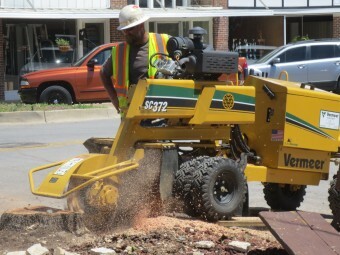 From surface preparation equipment to excavators, trenchers to boring equipment, digger trucks and the latest splicing/testing equipment, we have the resources to get the job done. Capable of being bonded for large projects requiring Bid Bonds, Performance Bonds, Maintenance Bonds or Payment Bonds.